Citizenship by investment (CBI) has gained popularity in recent years as a means of acquiring a second nationality. 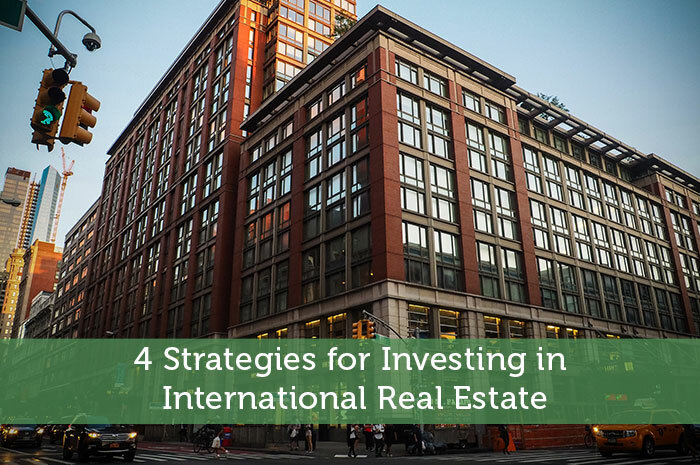 CBI usually involves gaining citizenship in a country by investing into their government fund or in local pre-approved real estate. Several Caribbean islands have such programmes in place and the region is known for having some of the most affordable CBI schemes in the world. Grenada, for instance, requires a real estate investment of $350,000 to grant citizenship. Dominican Citizenship can be given to those who invest $200,000 in an approved real estate project. There are several perks to having citizenship in Caribbean nations. Since the Caribbean islands currently offering CBI are Commonwealth nations, citizens get special privileges in the UK and can also enjoy visa-free travel to over 100 countries and territories. Choosing to invest in a country with an emerging economy opens opportunity for investment in potentially rapidly growing enterprises, but as with most venture capitalism, there are risks including the possibility of natural disaster. In the midst of a debt crisis, the Greek real estate market has hit rock bottom. House prices have dropped by an average of 50%, while the weakened currency exchange rate offers an additional 20% decrease in sales price. In some parts of Athens, basement flats are selling for as little as $5,000 (£4,150). Investing in Greek property carries significant risk as uncertainty continues to surround its economic future. With careful planning and financial consideration, however, it could be worth taking a risk. The Greek islands have weathered the crisis more effectively than the mainland. Property sales in Rhodes, for example, have declined by 10% – significantly less than on the mainland. The crisis has created an economy of bargains for foreign investors and demand for property on popular holiday islands has soared. The islands of Mykonos and Santorini have seen an influx of foreign investors looking to benefit from the low house prices and currency exchange rate. It is not just a fire-sale of property. Several private islands have been put on the market as a result of ramifications of Greece’s financial bailout play out. Only 10% of the country’s islands are privately inhabited and it has been estimated that the Greek Government is holding between 1,200 and 6,000 islands. Ten years have now passed since Montenegro declared independence. The small nation has successfully reinvented itself as an Adriatic beauty spot and is attracting the attention of both holidaymakers and property investors. Tourist numbers are expected to grow faster in the Balkan state than anywhere else in the world. In 2011, travel and tourism contributed 15.7% of Montenegro’s total GDP. By 2021 it is expected to rise to more than 36% as the country continues to attract new visitors. One in every three jobs is estimated to be somehow related to travel and tourism in the country. The tourism boom is likely to have a knock-on effect on real estate and the market is still in its infancy, so investors can expect excellent value for money. Montenegro adopted the euro following independence, so the weakened currency exchange rate adds an extra incentive to invest in property while it is still cheap. The coastal town of Budva has seen over 200 new ultra-high net worth residents who have moved to seize real estate opportunities. It now has the most millionaires per capita in Europe, higher than Monaco and St Tropez. When it comes to skiing destinations people tend to envision wintery resorts in the Alps or Canadian Rockies. Japan would not be the obvious choice but with snow conditions from December to May and rental yields of around 8%, it is surprising ski resorts on the island of Hokkaido are still going under the radar. Japan is the only country in the Asian-Pacific region with no restrictions on foreign ownership or on profiting from property investment. Japanese property is a relative bargain due to the current weakness of the yen, particularly in comparison to other major Asian markets such as Hong Kong and Singapore. The resort of Niseko is becoming a popular option with Chinese and Australian skiing enthusiasts. The number of Chinese nationals who ski has grown from 10,000 in 1996 to 5 million in 2010, and that number is expected to grow. Targeting a growing market such as the Chinese skiing movement could prove to be a profitable investment.